♦ CARTS: Carts are optional at Loch Palm. One golfer to a cart. Pay for carts direct to the the golf club pro shop, if required. ♦ CADDY TIPS: These gratuities are NOT included in your golf package. 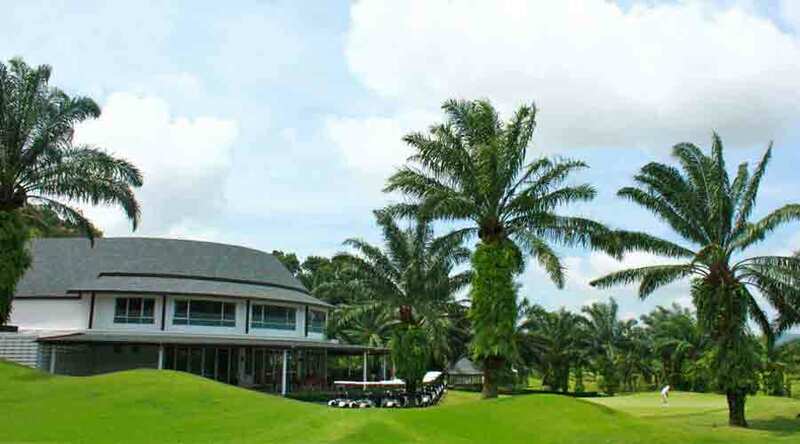 Loch Palm golf club recommends a caddy tip from 300 baht payable direct to the caddy after the game. Non golfer fees are payable direct to the golf club. Non golfers are expected to dress appropriate to the golf course (correct golf attire). 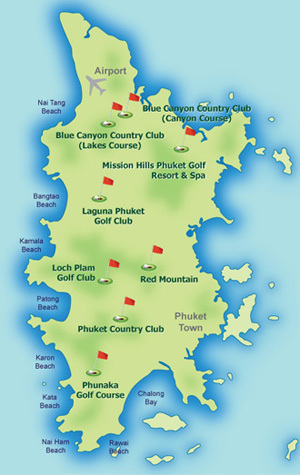 Loch Palm Golf Club is located just a 10-minute drive from Patong Beach and is known as one of the best value-for-money golf courses in Phuket. This 18-hole course nestles around the beautiful Crystal Lake, set amidst rolling hills with a mountainous backdrop that makes it one of the most scenic courses on the island. This 18-hole course is set over 6,555 yards with a 72-Par, designed by noted golf course architect, Dr.Sukitti Klangvisai. The course was first opened in 1996 and has since grown seamlessly into its surroundings. 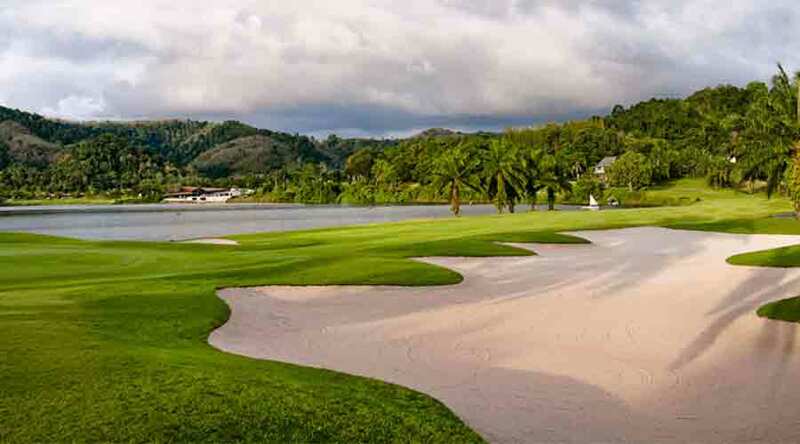 Known for its water hazards and copious amount of sand traps, Loch Palm perfectly matches the exotic atmosphere of Phuket Island and turns it into an enjoyable golfing experience. The course suits players of all levels and abilities, creating a challenging yet scenic round for all. 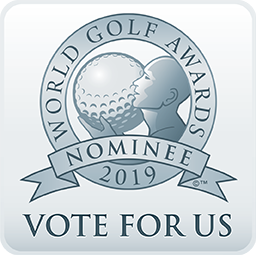 With thousands of palm trees lining the wide and forgiving fairways, fast greens and beautiful backdrops, the course rewards straight hitters and punishes those who veer off target. 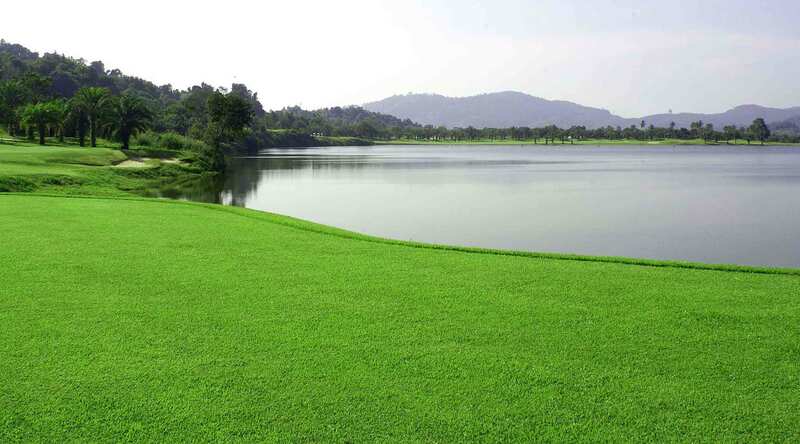 The first 9-holes takes you on a journey along the fringes of the Crystal Lake water hazard that is the focal point of the course, while the back-9 twists and turns through stunning jungle-laden surroundings with a varied selection of tee-off elevations. The club’s onsite facilities include a driving/practice range, a clubhouse with a restaurant, changing facilities and a pro-shop. 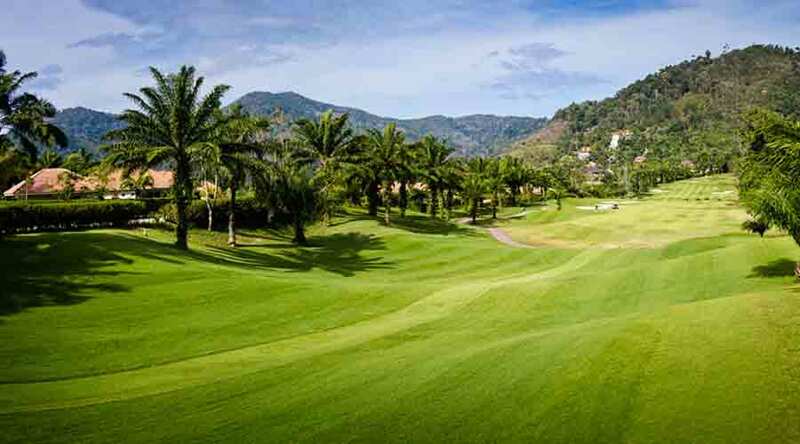 Located just 7km from Patong Beach, the course is one of the island’s most central and affordable, making Loch Palm a very popular place to play golf in Phuket. Set over 220 yards, the Par-3 16th hole really is a challenge. Set beside the Crystal Lake, the green is sandwiched between 2 bunkers at a slight elevation. If you don’t hit the ball straight from the tee, your ball can quite easily roll down the bank into the lake. Even shots from the bunkers can result in a watery grave, so you have been warned! Distance from Patong: 7 Km.